Community Living BC (CLBC) is a provincial organization that funds supports and services for adults with developmental disabilities and their families in British Columbia. CLBC is working to create communities where people with developmental disabilities have more choices about how they live, work and contribute. One of CLBC’s priorities is to help protect the safety of people with developmental disabilities. Several years ago, the organization came to Signals looking for a way to engage British Columbians in making their neighbours with developmental disabilities feel more included and safer in their communities. That idea inspired the development of “Start with Hi,” a public awareness campaign that showed how a simple greeting can help to build stronger, more welcoming communities where everyone can feel at home. 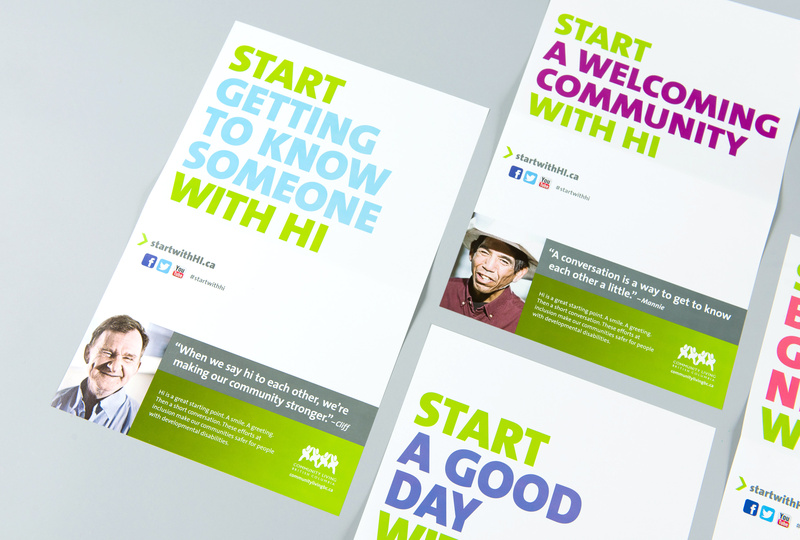 “Start with Hi” encouraged British Columbians to acknowledge and connect with people with developmental disabilities by simply saying “Hi”. We rolled out the original Start with Hi campaign online, in posters and collateral materials that were distributed province-wide. The simplicity and authenticity of the campaign propelled its success. The simple, memorable and compelling call to action was instantly appealing. Supported by videos of the self-advocates and a very active social media campaign, Start with Hi has continued to engage British Columbians for six years. 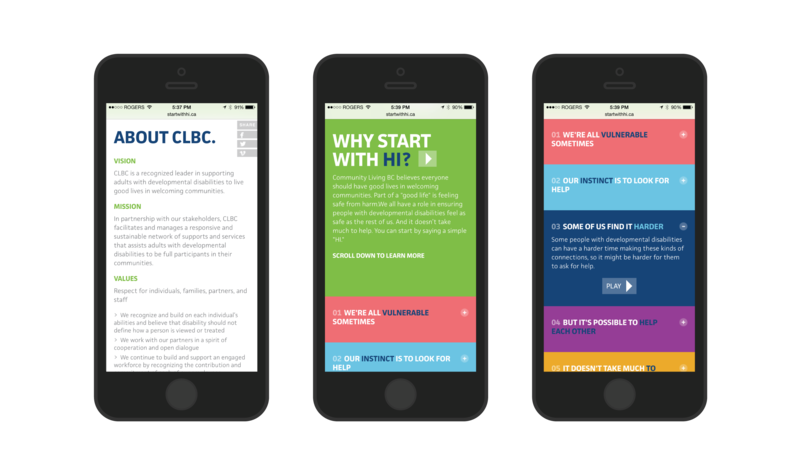 CLBC asked us to refresh the campaign and to create a new, dedicated “Start with Hi” microsite. Knowing that CLBC self-advocates are most effective at telling their own stories, we shot five new self-advocate videos to be showcased on the new microsite home page. 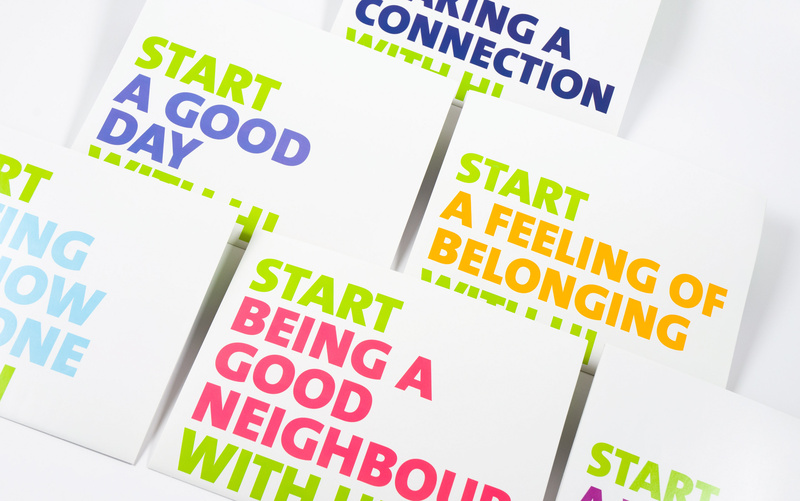 And as part of the campaign refresh, we expanded on the benefits that “Start with Hi” can bring: a good day; getting to know someone; being a good neighbor; a feeling of belonging; a welcoming community – all of these benefits can “start with hi”.